Lisa Maree Williams/GettyA politician and some friends play a special Australian version of Monopoly. Ralph Anspach wasn't going to stop making his Anti-Monopoly game just because Parker Brothers told him to. At least not without a fight. It was 1974 and Anspach, an economics professor at San Francisco State University, was caught in a legal battle with the makers of the popular board game Monopoly for allegedly infringing on the game's copyright. The premise of Anspach's game, as its title suggests, was to bust trusts rather than create them. He wanted to use it as a teaching tool, especially for children. In his quest to prove that Monopoly's roots far preceded its 1935 patent, he discovered that its origins dated back to 1904, in a game that was very similar to his own. 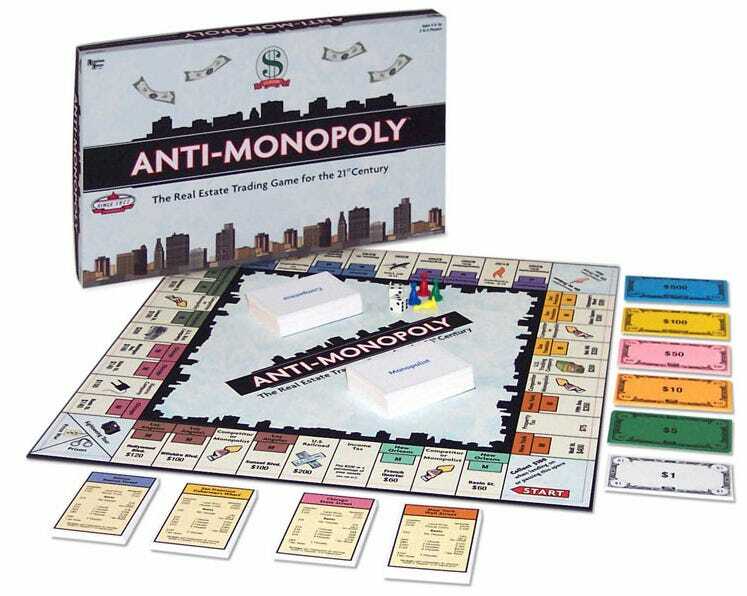 After a long legal battle, Parker Brothers ended up with the Anti-Monopoly name, but let Anspach print the game under license - more importantly, the court validated that Anspach had proven that Monopoly was not as original as it had seemed to be. Mary Pilon wrote a piece for the Wall Street Journal about Anspach in 2009 after coming across his story. Her research grew into her new book "The Monopolists: Obsession, Fury, and the Scandal Behind the World's Favorite Board Game."  It's the first journalistic account of the true origin of the game that Parker Brothers' parent company Hasbro says has sold more than 275 million times across 111 countries in 43 languages. antimonopoly.comRalph Anspach's mission to keep producing his Anti-Monopoly game unearthed the true origin of Monopoly. For decades after its 1935 launch, Parker Bros' Monopoly board game included an origin story in its instruction manual that was a celebration of the American Dream: Charles Darrow, an unemployed salesman determined to support his family during the Great Depression - or at the very least entertain them - tinkered away in his basement on a game about buying property. Parker Brothers initially turned down the game, but after it gained popularity through word of mouth, the company bought Monopoly, it became a sensation, and both Darrow and Parker Brothers enjoyed fame and fortune. If the instruction manual told the full truth, it would begin with Elizabeth "Lizzie" Magie designing the Landlord's Game in 1903 as a teaching tool. It was the Progressive Era in the U.S. and Magie, the daughter of an abolitionist, was a suffragist and Georgist, a follower of the writer and economist Henry George. George's 1879 book "Progress and Poverty" was a foundational text of the Progressive movement and reports from the time say that it became so popular that several million copies were sold, making it the most read book in America for a time, second only to the Bible. "The amount of wealth being created in this country was something nobody had ever really seen before," Pilon says, and George was searching for ways to protect regular people from being exploited by wealthy land owners. A main tenet of George's philosophy is the single-tax theory, which essentially replaces all taxes deemed unfair with a tax on land only, not the properties built on top of them. George died in 1897, and so Magie believed she was doing her part to keep the fight alive through her game. She included two rule sets with her game: the anti-monopolist rules and the monopolist rules. The idea was that she could expose the evils of land-grabbing by having players see how it works. Tom ForsythA version of Lizzie Magie's Landlord's Game. It turned out that most people found the monopoly rules more fun. And though Magie patented the Landlord's Game in 1904, the nature of game culture at the time combined with the lack of a mass production deal resulted in it becoming a "folk game," as Pilon calls it, meaning groups of people throughout the country would learn about the game through word of mouth and develop their own variation. The Landlord Game's unofficial offspring became popular in the Progressive and academic communities, including the radical leftist utopia Arden in Delaware, which included Pulitzer Prize-winning author Upton Sinclair and controversial economist Scott Nearing among its residents. Magie obtained a patent for an updated version of the game in 1924, but by the early '30s, the game and its original intentions were significantly overshadowed by the monopoly folk game. Among its biggest fans were a large group of Quakers in Atlantic City. It was this version that Charles Darrow played with some friends. Not everything about the fake Monopoly origin story were false. Darrow was unemployed at the height of the Depression and at his wit's end. One of his sons had scarlet fever and he lacked funds for getting him proper treatment. Associated PressCharles Darrow, the man who sold his version of Monopoly to Parker Brothers. One day he decided that he would try marketing that board game he had played. He got his successful cartoonist friend, F.O. Alexander, to spice up the board with some illustrations. 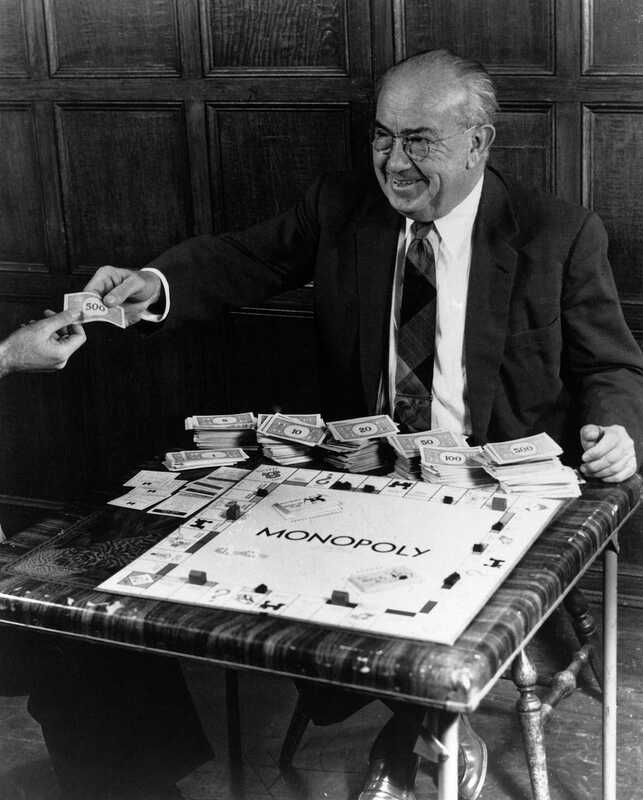 After Milton Bradley and Parker Brothers each turned it down once, Darrow got his game called Monopoly a large enough following that Parker Brothers bought it for $7,000 plus residuals in 1935. The game company sold 278,000 copies of Monopoly in its first year, and then 1,751,000 the next year, which Pilon says brought Parker Brothers millions in profits. In letters Pilon includes in her book, Darrow tells Parker Brothers that he was inspired by a game he played with his friends that was based off one they learned from a college professor. Darrow keeps his language vague and unclear. By the time the game took off, Parker Brothers became aware that Darrow's Monopoly game had at the very least some heavy inspiration, and so began to acquire any other "folk game" offshoots that were still out there. Washington Evening StarIt didn't take long for people to realize Monopoly seemed quite familiar. At one point very early in Monopoly's life, an article ran that exposed to the public its true origin story. "Very likely your grandma and grampa played Monopoly," an article starts in the January 26, 1936 issue of the Washington Evening Star. "It isn't new." The article tells the story of how Magie patented the Landlord's Game in 1904 as a teaching tool for Georgian economics. But just two months before this article was published, Parker Brothers had wisely inked a deal with Magie to avoid a scandal, which Magie signed in hopes that the game company would promote her work as much as they did Monopoly. 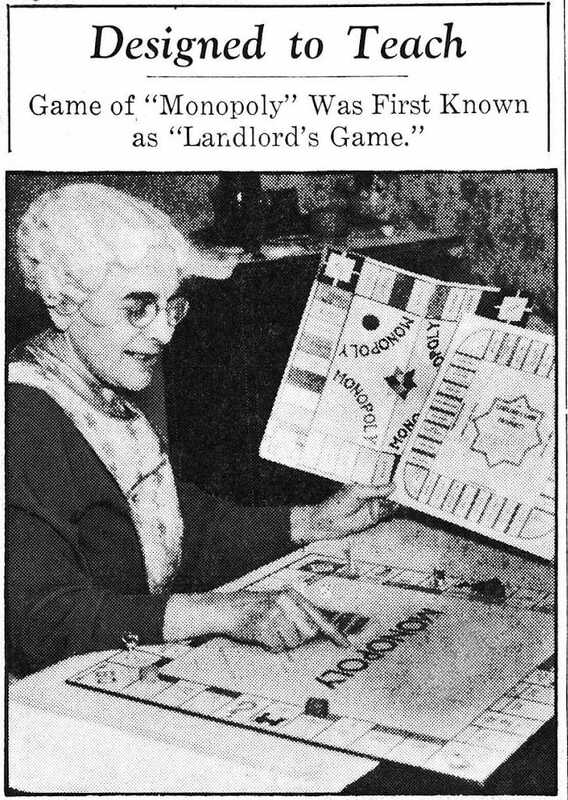 Parker Brothers printed a modified version of the Landlord's Game in 1939, with Magie's face on the cover, along with two more of her games, but "there's little evidence they were ever seriously marketed," Pilon says. Pilon tells us that the 1940 Census lists Magie's occupation as "Maker of games" with an income of "$0.00." She died in 1948. Though the real story behind Monopoly has always been out there, and was well-known in the board game community since the court confirmed the research Anspach did in the '70s, but Pilon says that before she started her book, there was widespread false information spread across the Internet. She thinks part of it was the original Darrow story just sounded better. "I think that when we think about innovation and how things are made," Pilon says, "we love lightbulb stories because they're romantic, they're beautiful, they're Cinderella stories. But the truth is when things are made it's often a collaborative effort with lots of product testing - it's way more complicated. 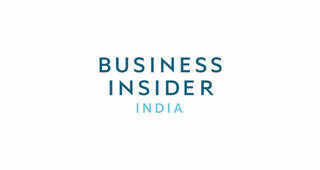 And we don't think to question origin stories."